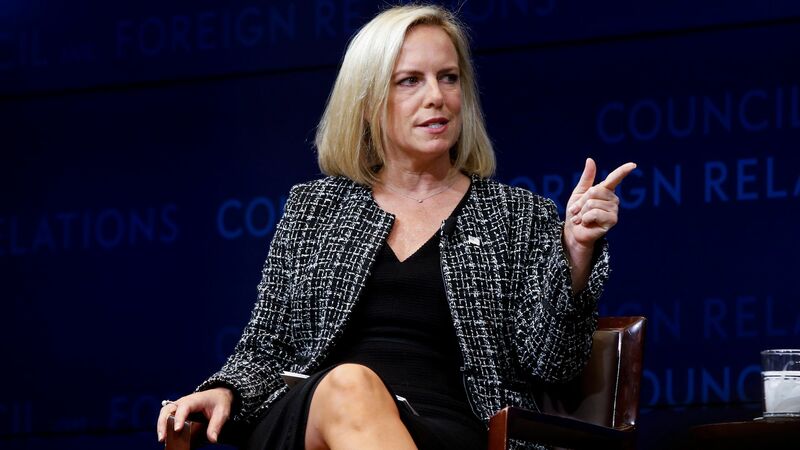 Driving the news: Sources close to Trump say he doesn't think Nielsen is being aggressive enough at fulfilling his hard-line immigration agenda. But more than that, Trump puts a lot of stock in personal chemistry. And once he's decided he doesn't have "chemistry" with someone, it's very hard for that person to come back from that. Ricardel made the mistake of making an enemy of first lady Melania Trump. As the Wall Street Journal reported, and Axios confirmed: "A rift emerged after Mrs. Trump staff’s battled with Ms. Ricardel during the first lady’s trip to Africa last month over seating on the plane and requests to use National Security Council resources." The big picture: White House aides say Ricardel is likely to need a new job, and probably soon. But as of Tuesday night, she was still employed in the White House, according to a senior official. White House officials believe she'll eventually be eased into another role, far, far, away from the West Wing. Historical note: Feuds between White House aides and first ladies tend not to end well, as historian and former Pentagon official Mark Jacobson recalls. Remember Don Regan and Nancy Reagan?